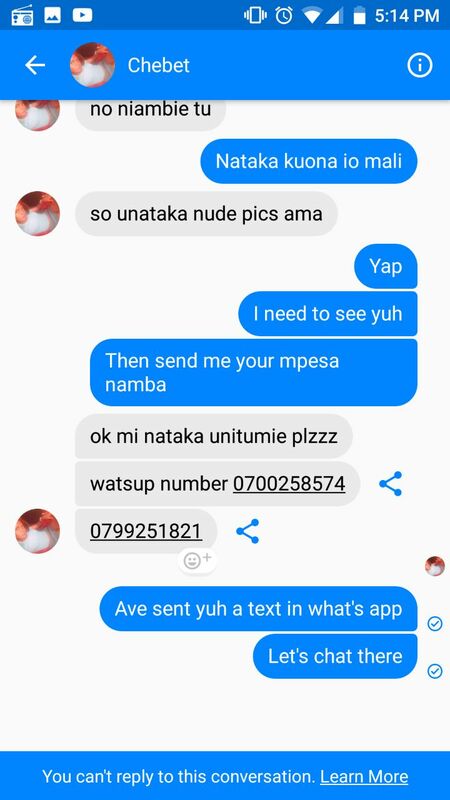 So I was going through a very funny Telegram channel called mafisi, a Kenyan channel actually. And in saw this story. The boyfriend was the one who posted the chats on the channel actually. 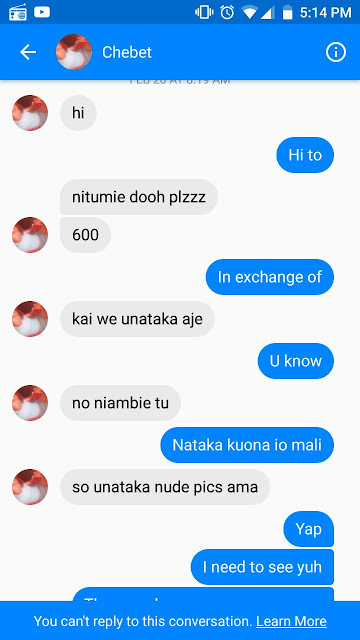 Apparently, he was trying to know if his girlfriend has been faithful, so he created a pseudo account on facebook and added her. He was shocked! His girlfriend had started sending newds after he promised to give her some money. Just see the screenshots below and photos. The guy got angry as he was sharing his ordeal and he shared the newds his supposed girlfriend sent.